Ladies and gentlemen, we are officially less than three months away from the new season of Gilmore Girls. For many of us Thirty On Tappers, we quite literally grew up with Rory. I was the same age as Rory when the show began, I gained boyfriends and lost boyfriends like she did, and I left for college when she did, albeit to a non-ivy league university and with far less Lorelai panache, but still, we led tandem lives. Which is why I am all the more excited to see what Rory is up to today. I hesitate to even speculate, as my life has definitely taken a series of unexpected paths in my post graduation years. 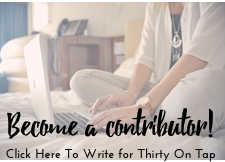 I want to be as open as possible to who Rory is and what she might be doing in order to honor the idea that who we are at thirty and thirty-one is so rarely what we imagined at twenty-one. If my excitement seems too early, like when Christmas decorations appear the week before Halloween, know that it comes with a purpose. For those who for some reason have never seen Gilmore Girls, maybe you were in a coma, or a dog stole your TV, I urge you to use the next 82 days to watch the 154 episodes leading up to the new season. That is approximately 1.9 episodes a day, but if you’re like me and can watch an entire season of Broadchurch in one weekend, you can totally get caught up and still do things like work and sleep. It’s never too late to go back and enjoy the ceaseless deluge of wit and pop culture, the incredible women at the center of every story, and yes, the romances too. The part of me that is a champion for content that passes the Bechdel test wants something more than Team Logan vs Team Jess vs Team Dean, and the show does provide that, but seriously, the romance is just so damn good! If you’ve already been a fan for half your life, I am here to help you prepare to celebrate November 25, 2016, or what shall henceforth be known as “Gilmore Girls Day”. Bullet Journal fans, or even BuJo novices like myself can enhance their countdown with this fantastic sticker set from littleletterspaperie. As the description points out, what better way to countdown than with cups of coffee? (It’s like Rent and T.S. Eliot made a sticker baby) I’m already looking forward to starting my countdown in October! As a fan I’ve already accrued a couple pieces of Gilmore Girls inspired artwork, like this incredible Life and Death brigade poster from WindowShopGal. I also have the blue version of the Stars Hollow poster. Amy goes the extra mile and includes a document related to the poster you purchase, like a note from Taylor Doose. You can currently pre-order “Stars Hollow” candles from the fabulous InTheWickofTime. Shipments begin in the beginning of September. It is described as smelling like maple leaves, apples, toasted marshmallows, and fall spices. I likely won’t be able to wait until November to start burning this beauty. I have also pre-ordered Lauren Graham’s newest, and first nonfiction book, “Talking As Fast As I Can”, set to debut the Tuesday after Gilmore Girls Day. I think that Lauren Graham informed so much of who Lorelai was as a character and I’m looking forward to more insight. What are you doing to start prepping for this special occasion? If you’re more of a Sookie than a Rory and will be celebrating with a special menu, I want to hear about it! 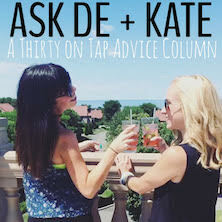 Casey Rose is part of the Contributing Writer Network at Thirty On Tap. 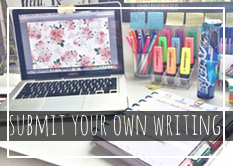 To find out how to become a Contributing Writer, please click HERE.